About us - PG Orth & Co. We mean Business! PG Orth & Co. We mean Business! 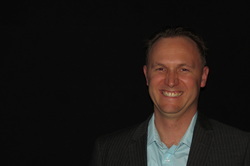 P. Grantley Orth B. E Comm (UofQ) CPA, Tax Agent, Comm Dec.
Grantley has been with the practice since 1997 finished his Bachelor of Electronic Commerce at the University of Queensland in 2004. He is a member of CPA Australia and a registered Tax agent. Ryan completed his Masters of Professional Accounting at the University of the Sunshine Coast in 2016. He is currently working towards completion of the CPA qualifications. Caitlyn has been with us since 2015. Caitlyn is currently studying a Bachelor of Business. Zahlea is one of our receptionists. She enjoys learning and helping clients with the many situations that can and do arise.